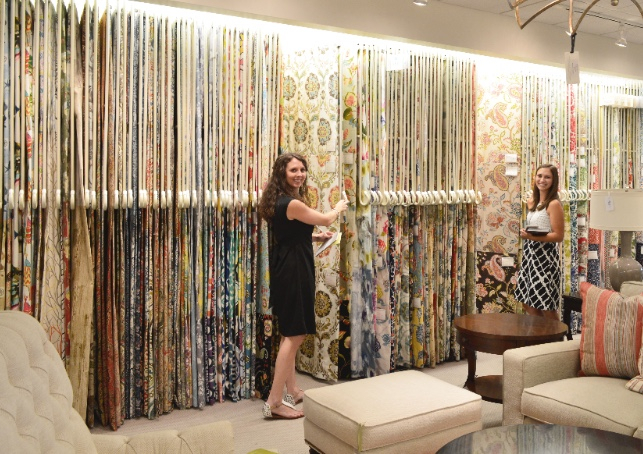 This past month, we loaded up an SUV and took a drive down to Atlanta, home of the Atlanta Decorative Arts Center and their annual Design ADAC event that invites some of the best designers from around the country to debut their new lines and share their trade secrets. Here are the top trends we saw in the showrooms. Powder blue is the new neutral. This hue was everywhere we looked in Atlanta as a calming color that allows designers to anchor a room without succumbing to boring beige. Use it in bathrooms, bedrooms, kitchens and just about anywhere else for a fresh, crisp look. A continuing trend from 2016, gold fixtures are still a timeless, luxe addition to any room. From lighting to hardware, accessorize your room with gold like you accessorize your outfit: keep it simple and understated. Whoever said velvet had to be sad and frumpy? Velvet upholstery is making a contemporary comeback and giving basic rooms a luxurious feel that's soft to the touch but durable too. 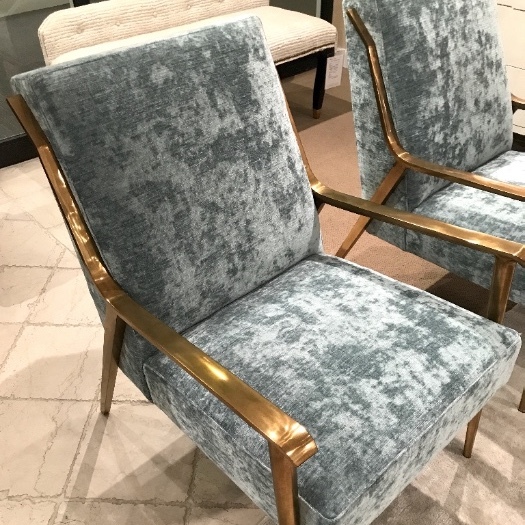 This chair combines the trendy baby blues and brassy gold accents to embody everything we saw at Design ADAC! Panels and speakers and showrooms, oh my! There are few things we love more than to hear the latest tips, tricks and trends from the best designers in the country and we were definitely geeking out at DESIGN ADAC with so many talented folks packed into just a few days. Are you a fan of the trends spotted above? Let us know how you are incorporating them into your spaces on Facebook and Instagram!